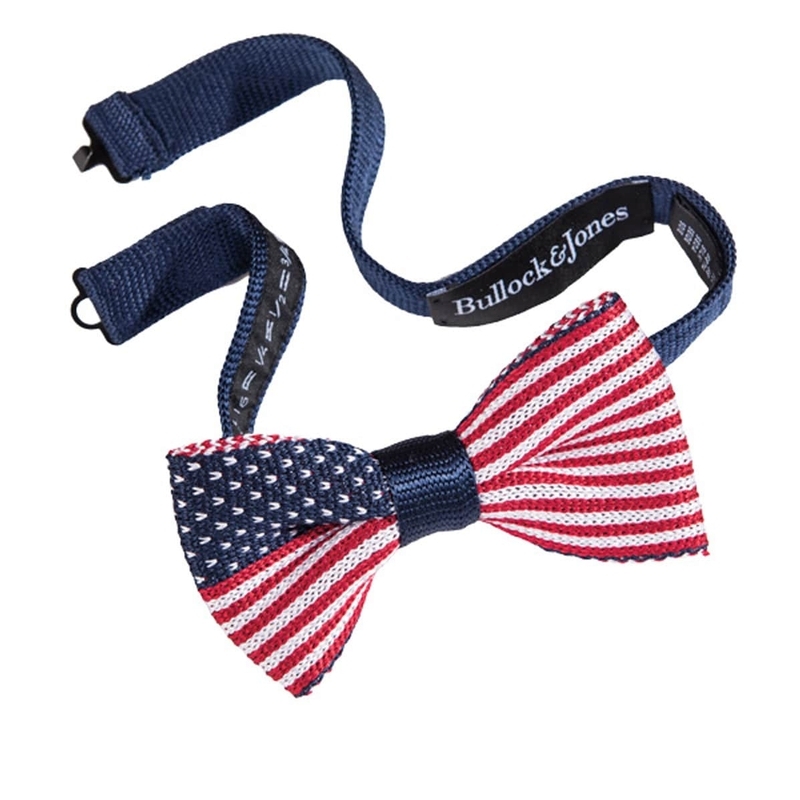 The stars and stripes at your collar, in a pre-tied bow of pure silk knit. Fits neck sizes 15 to 18. Made in Italy.